CARLOTTA DE FRANCESCHI is visiting scholar at the School of International and Public Affairs (“SIPA”) at Columbia University and Co-Founder and President of Action Institute, one of the top think tanks in Europe. Carlotta is also board member of Arca SGR, one of the leading asset managers in Italy, of Banca Sistema, a listed specialty finance bank, and TAS a listed fintech company with operations in Italy, US, France, Spain, Switerland and Brazil. Carlotta is the former Senior Economic Advisor for Banking and Finance to Prime Minister Renzi, in this capacity she assisted the PM on a number of structural reforms including the Banking and Bankruptcy ones. She represented the Italian Government in both Italian as well as international working groups and events. Carlotta spent 12 anni in Investment Banking (Goldman Sachs, Morgan Stanley and Credit Suisse) between New York and London. In particular at Credit Suisse she was first responsible for the structured finance principal transactions of the firm in Southern Europe and later of both the Public Sector and Banks in Italy. 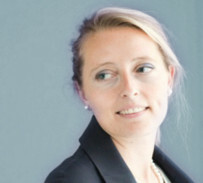 Carlotta holds a MSc in Business Administration from Bocconi University and an MBA from Harvard Business School where she studied with the Nobel Prize Robert Merton.